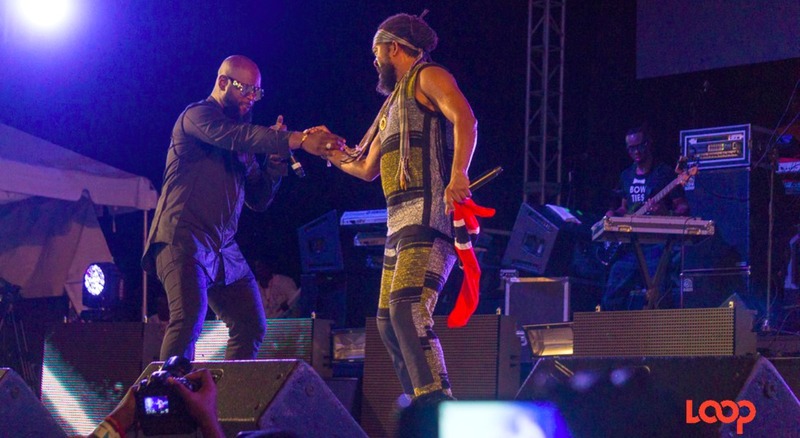 Bunji Garlin and Machel Montano on stage at 1Love 2017 in Barbados. 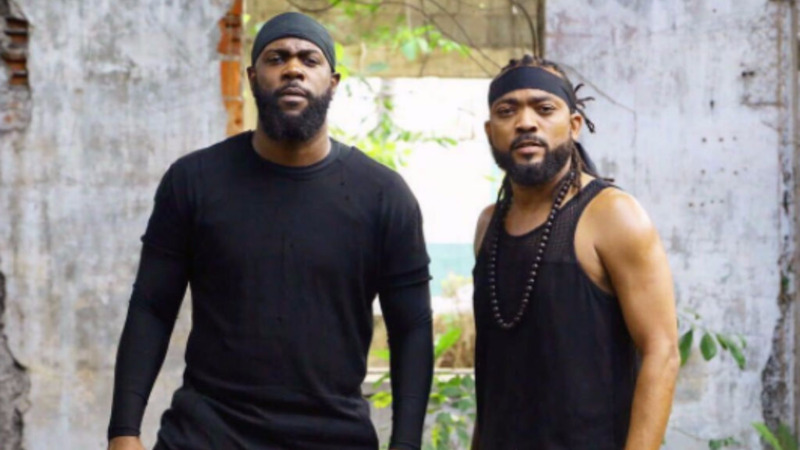 Machel Montano was so correct when he sang ‘Stink and Dutty’ on the big stage at 1 Love Concert 2017 because the field at the Concorde Experience venue was a muddy mess, but it did not stop the thousands from enjoying the ‘Big Bad Soca’. 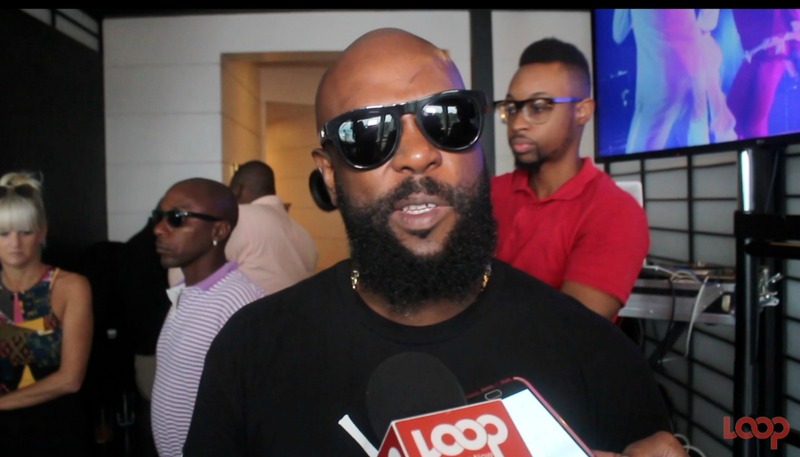 Bunji even freestyled about it and said that the two of them are blessed yesterday, today and in the future. 1 Love 2017 began with a beautiful rendition of the National Anthem by Paula Hinds around 9:00 pm. Though the show got off to a late start when the Bajans including Marvay, Hypa Sounds, Jus D, Faith, Sanctuary, TC, Buggy Nhakente, Aidan and Kirk Brown build de vibe in the first set, it was smooth slipping and sliding throughout the night. Some intermittent showers made the waterlogged venue even more unstable but that did not stop most people from enjoying the night. The ‘Big girl’ Patrice Roberts came out and shocked patrons who thought she’d be in the latter half of the night. In her usual style she showed why she will still be doing this when she’s ‘Old and grey’. Instead of making them feel bad, Patrice is one entertainer who made fans feel great for feting till all their ‘Money done’. 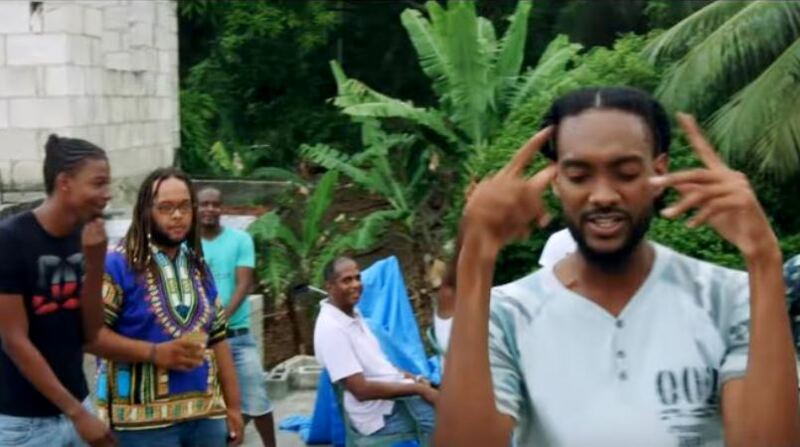 Trinidad's Kendal Haynes also sang his Crop Over 2017 song 'In love wid de road' which is written by Bajan artist Jus D.
The first segment’s performers were backed by the 1Love Band. At 11:20 pm, Machel ran on to the stage full hyped ‘Like a Boss’, and the crowd went crazy shouting ‘More than you’. His dancers were on point as usual and they did some gravity defying moves, which Machel warned persons not to try on the road for Grand Kadooment. 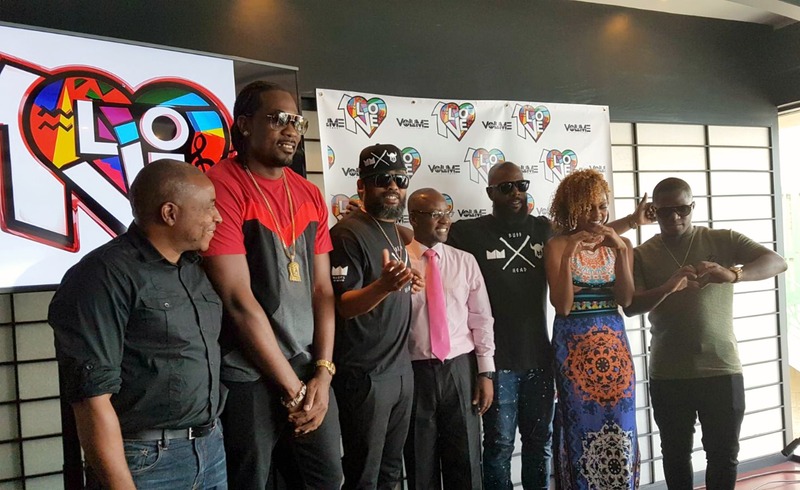 Machel’s band backed him, Nikita, King Bubba FM, Holla Bak, Shaquille, Voice and Fadda Fox. Machel brought out Nikita during Haunted reminding person’s that the Bajan songstress was on that track alongside him. King Bubba’s ‘Drunk Day’ was a hit. 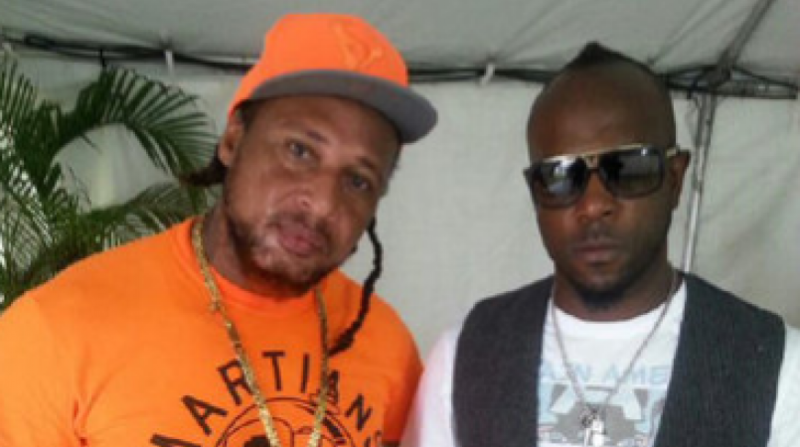 Holla Bak got his vindication as Machel put Admiral in his place declaring that some 10 years ago a youngster came to him with a track and said that he wants to make it big and he gave him the chance. That yougster was none other than Holla Bak. Holla Bak stormed across the stage and had the crowd rocking to his ‘hits’ and after before singing his 2017 song ‘Sweet like ooh’ he asked the crowd ‘Is this a hit?’ and they went wild. Machel said that ‘Collateral’ singer Shaquille is the future of Barbados’ soca and then he called out Voice as the future for Trinidad’s soca. Voice sang ‘Far From Finished’ and all the crowd sang along at the top of their voices. Fadda Fox was so right reminding many people of the ‘Good ole days’ when sneakers and shorts were the beat for fetes, and many wished on Sunday night, August 6, that they had taken his advice as they tried to ‘jump and wave’. Then the Vikings entered. 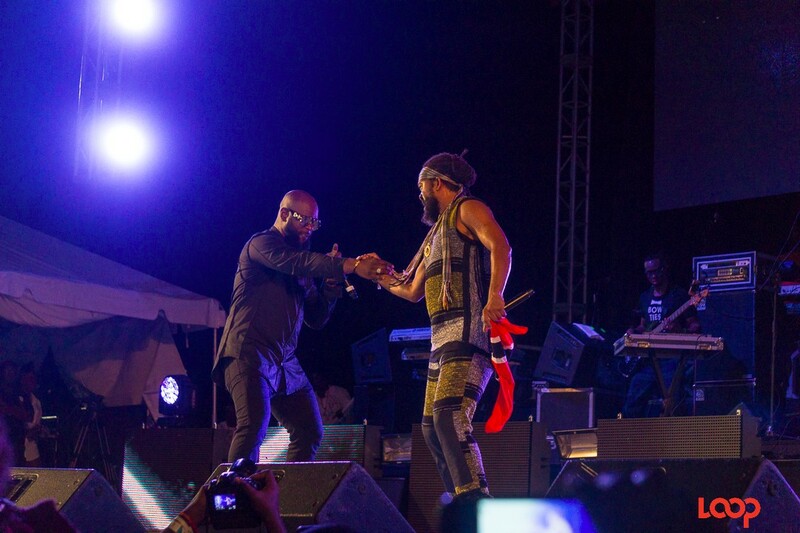 The Asylum Band got setup and Bunji took the stage with Monk and they did the highliy anticipated ‘Buss Head’. Machel exited after the tune for tune display and he performed Differentology, Truck on de road, Red Light District and Carnival Tabanca amongst others before calling on men to defend women as he defends his wife. He said that if men do not step up in support of women then they are failures. With that, he ushered his wife onto stage and she ‘Raze’ it. Fay Ann found the VIP to be more lively than the General and she made no apology for it. Machel came back out and then the 2017 Party Monarch Lil Rick got the stage for himself and he brought ‘Energy’ and ‘Blessing(s)’. Then Mr. E.P.I.C Machel Montano closed the show and sent patrons through the rain to their cars around 1:45 am.